Emory University’s Candler School of Theology and Aquinas Center of Theology have entered into an affiliate agreement that will strengthen their programming and academic resources. Approved by Emory’s administration in July, the agreement will introduce new opportunities to engage the Catholic community in the Atlanta area and beyond. 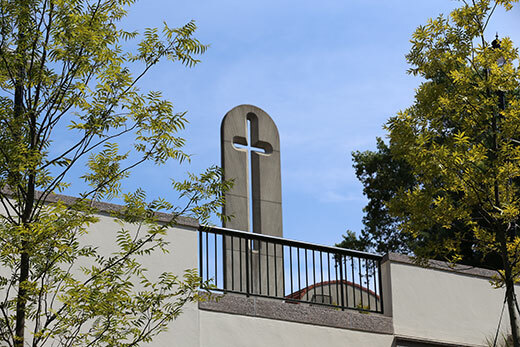 The Aquinas Center was established at Emory in 1987 by the Southern Dominican Province of the Roman Catholic Church to provide a Catholic scholarly presence, ecumenical in spirit, for the benefit of Emory, the Archdiocese of Atlanta, and the region. It has been an affiliate of the university at large; this new, updated agreement makes it an affiliate of Candler School of Theology specifically. During the Aquinas Center’s three decades at Emory, Candler has been its closest partner in programming. Most notably, the two joined forces in 2010 on the high-profile, weeklong visit of Cardinal Walter Kasper, then president of the Pontifical Council for Promoting Christian Unity, who remains influential at the Vatican. The formal affiliate arrangement will strengthen the connection between Candler and Aquinas even further, with promising yields for both organizations and the public. “Having the Aquinas Center directly affiliated with Candler provides a mutually beneficial framework for a robust, collaborative relationship that will enrich the intellectual and spiritual lives of Emory students, faculty, staff and the broader Atlanta community,” says Jan Love, Candler’s Mary Lee Hardin Willard Dean. Phillip Thompson, executive director of the Aquinas Center, says that the affiliation is key because it will allow Aquinas to develop additional resources and new programmatic offerings. Candler is currently developing a Catholic Studies program to add to its curricular offerings, so the timing of the affiliation “could not be more perfect,” says Love. The program is set to launch in the fall of 2018. Tony Alonso, a prominent Catholic voice in contemporary liturgical music, begins this fall as Candler’s director of Catholic Studies, and will lead the development of the program. The Aquinas Center will work with Alonso to forge relationships with personnel in Catholic churches and schools in the Southeast—“key people who need to know about our new program,” says Love. Thompson is enthusiastic about the program, seeing it as meeting a pressing need. For Candler, the Catholic Studies program and the new affiliation with Aquinas help meet a need, too. Long considered dry ground for Roman Catholicism, the South—made up of 55 dioceses across 16 states and the District of Columbia—now has 27 percent of the nation’s self-identified Catholic population, according to the Pew Research Center’s 2014 Religious Landscape Study. There are more than one million Catholics in the Archdiocese of Atlanta.